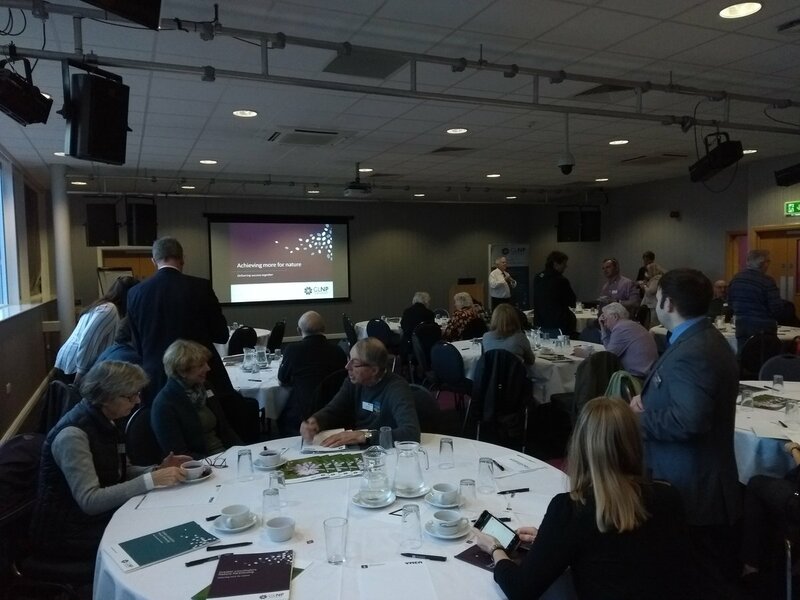 The Welland Rivers Trust recently attended the Greater Lincolnshire Nature Partnership conference in Lincoln. It was great to hear about all the fantastic conservation work going on across the county. Well done everyone!!! The Welland Rivers Trust recently engaged in the Spalding Riverside Forum meeting held at the Riverbank Art Studio. The Forum is made up of a committed group of community volunteers who dedicate their spare time to keeping the Spalding riverbank clean and tidy for the community to enjoy. Their main work involves litter picking near the river, cleaning up graffiti, and clearing/re-planting sections of the riverbank. As the WRT aim to improve the areas in and around the River Welland for wildlife and to reconnect communities with the river, this means that we share close goals with the Riverside Forum. We look forward to working closely with the Spalding Riverside Forum in near future. 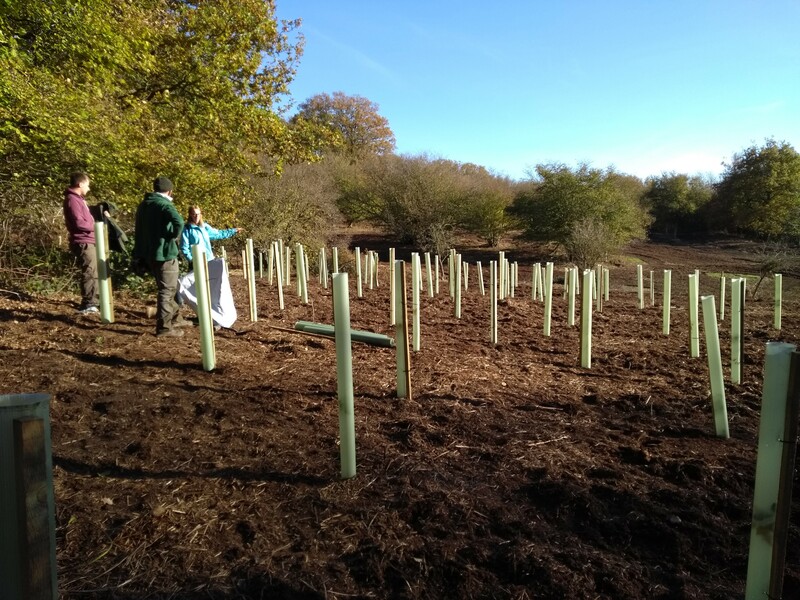 This weekend, the Welland Rivers Trust took part in a woodland creation event at Rutland Water alongside the Leicestershire and Rutland Wildlife Trust and their volunteers. 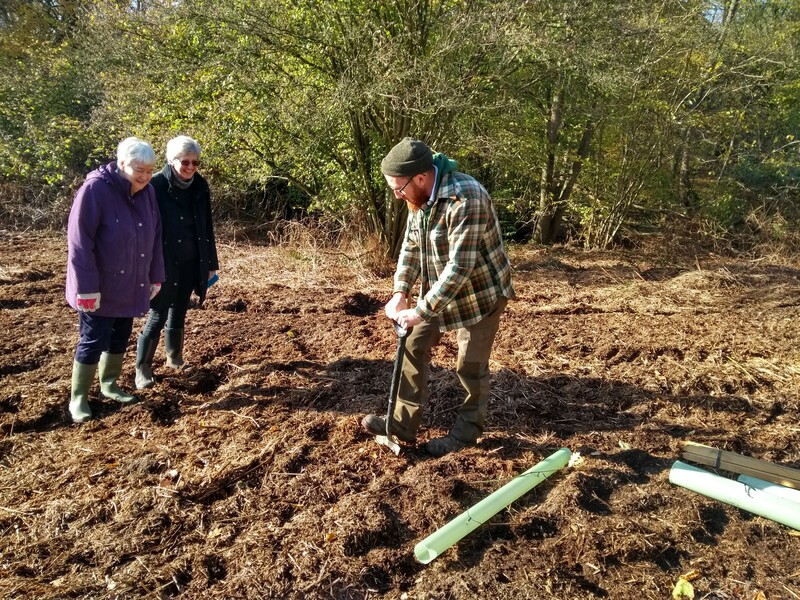 Our Project Officer will now use these tree planting skills to run several community tree planting events being delivered over the next 3-4 months. Stay tuned for more news. 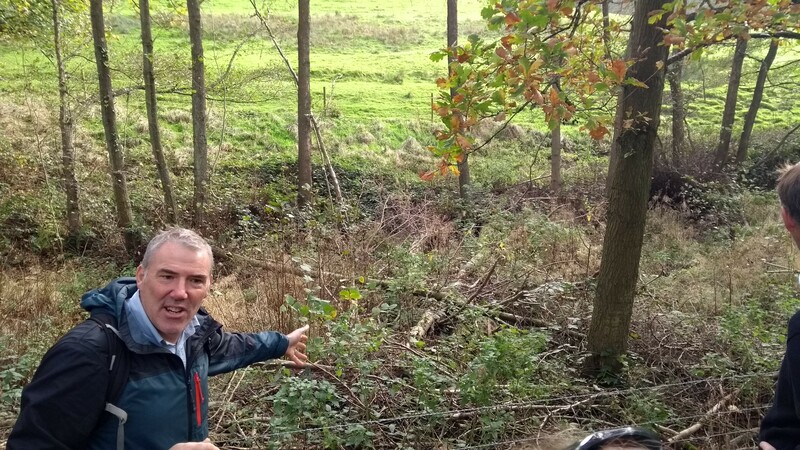 The Welland Rivers Trust have applied for £4,000 from the Tesco Bags of Help fund to create a River Warden volunteering network across the River Welland catchment, to protect the river for both people and wildlife. At the Welland Rivers Trust, we want the river to be at the heart of local communities. We believe that community involvement is key for the conservation and restoration of the River Welland and its entire catchment area. As a River Warden, volunteers will be the local champion for the River Welland, acting as our eyes and ears on the ground to protect the Welland and its tributaries. Initially, we want to pilot this scheme with 3 or 4 parishes, with a view to rolling out the initiative to other parishes, based on the lessons learnt. We have great news. Our funding application has been accepted by Tesco, and our project will be open to public voting at the Tesco in Oakham this Christmas. Please look out for it, and support our project if you wish. Thank you for your support. 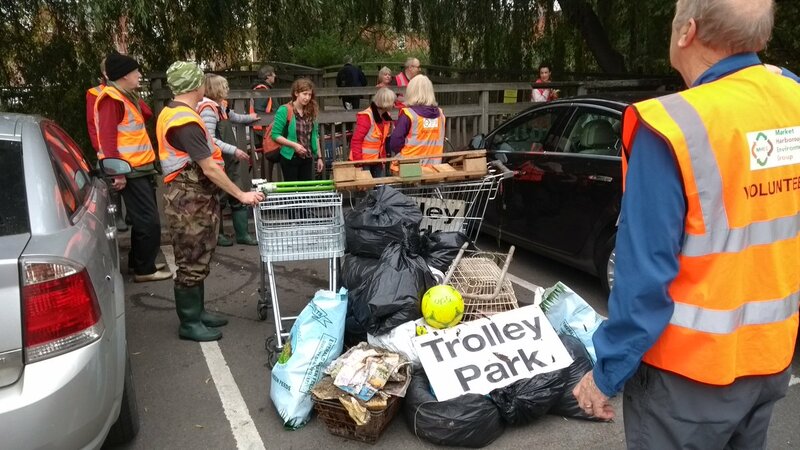 Working with the Market Harborough Environment Group, The Welland Rivers Trust has submitted a funding application to acquire new litter-picking equipment for the monthly river clean-ups in the town. If successful, we will be able to buy additional waders for volunteers to use during the river clean-ups, as well as more litter pickers, and hoops to attach to, and keep open, the bin bags used for litter collection. The fund is being offered by the Market Harborough Building Society (http://www.mhbs.co.uk/charitable_foundation.aspx), to help support local charities and communities around the Market Harborough area. Fingers crossed, hopefully we will have good news to share with you soon. 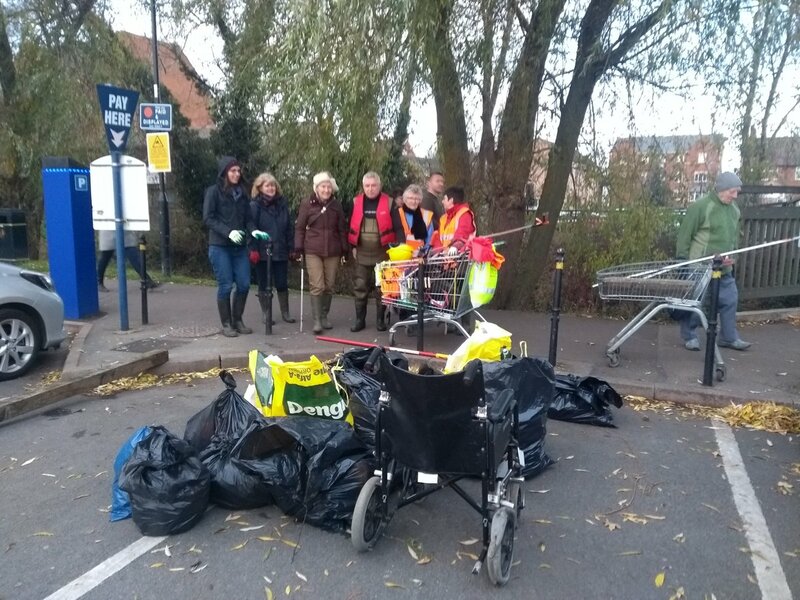 If you wish to get involved in the litter pick, the next one will be on November 30th at 1:30 pm, meeting at the memorial gardens in Market Harborough. 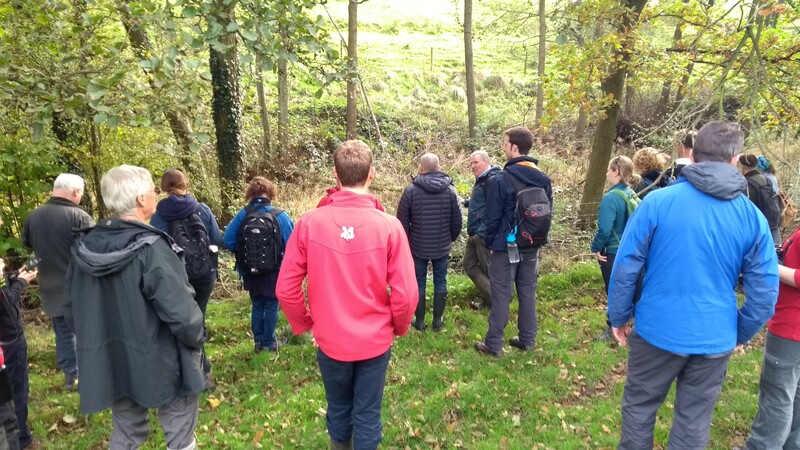 This month, our Project Officer joined the River Restoration Centre on a site visit to the Stroud Rural Sustainable Drainage Project along the River Frome. The Stroud RsuDs project is located in the catchment of the Stroud River Frome, which rises from the Cotswold escarpment in Gloucestershire. Throughout the project, over 280 measures have been installed over 18km of stream/river. 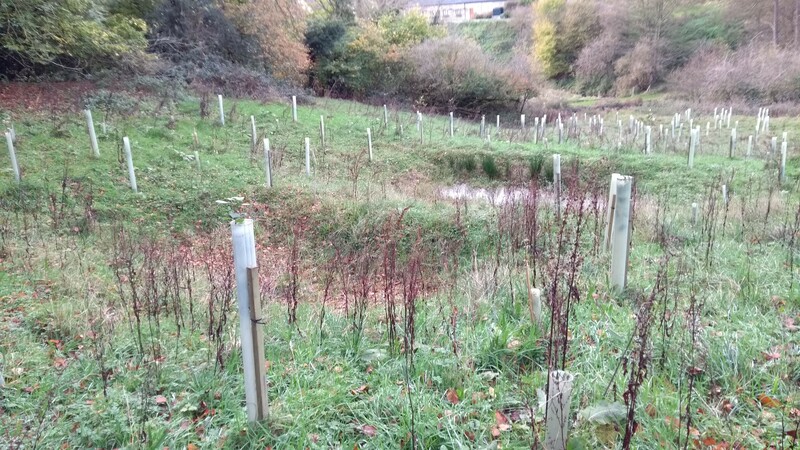 Key activities undertaken include tree-planting, creating bunds to block surface water run-off (see picture), introducing leaky dams, and reducing the speed of flow in erosion gullies by filling with logs and brash. 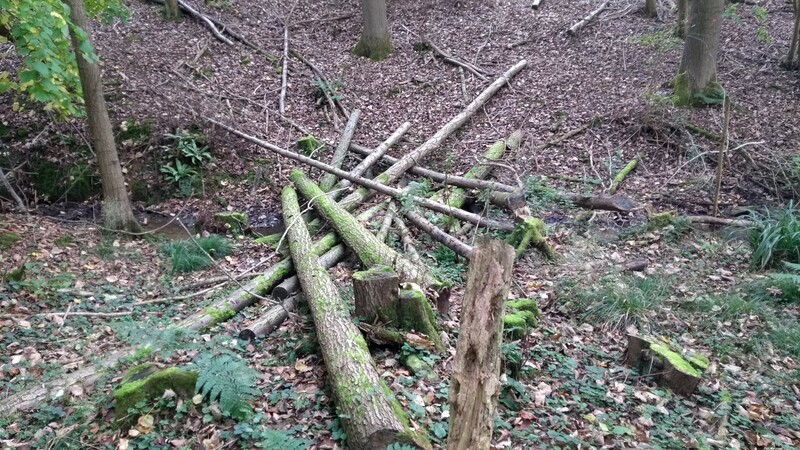 As pictured, leaky dams are made from felling and thinning out trees along side the stream/river. This allows more light to reach the water course to encourage vegetative growth. The logs are placed at a height that does not impede the low summer flows of the river, yet acts as a barrier to the high flood waters. The result is a healthy summer flow, and a slowing down of the winter floods.